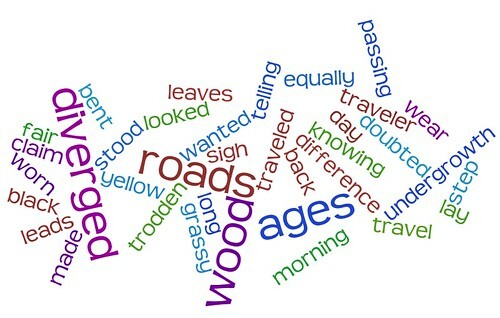 Wordle is a neat new visualization tool that will use either words of your choice (even in passages) or the tags from your Delicious account to create a neat looking cloud of words. Mine is below. 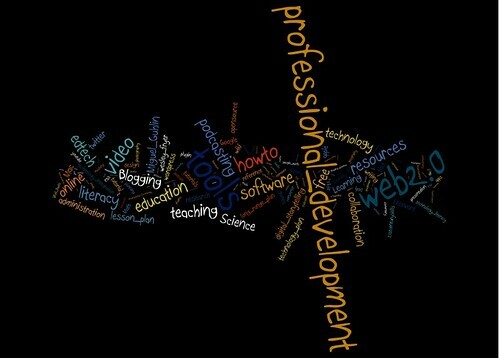 I find it interesting that Professional Development is the largest since it is really where my heart is in education. I find it the best way to affect positive change for the most students. For the record, this would make a cool little tool in an art program to see what types of designs students could come up with using just words. Also, it would be fun to use the words from a poem or essay to see what a literacy passage would look like. Any other ideas for instructional use? Remember, design is of the utmost importance for our students to practice since it pushes the abstract part of the brain. It is but one of the skills our students should practice to engage creativity. Alas, that is for another post. Anyway, it is a simple tool to use and another way to utilize technology in the classroom. The creations would make for a unique art gallery in the hallway or office windows. This entry was posted in Leadership, Learning by woscholar. Bookmark the permalink.